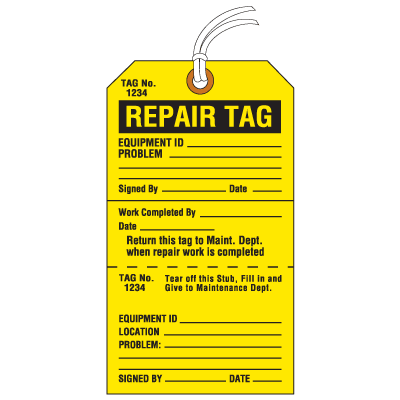 Seton's Repairs Needed Tags are backed by our 100% Satisfaction Guarantee! 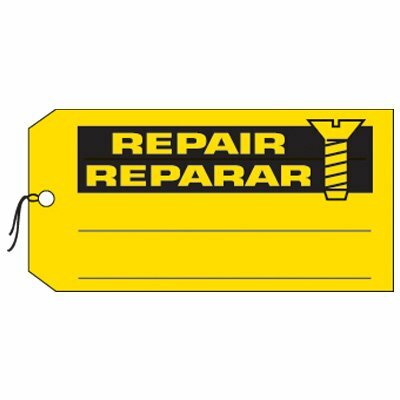 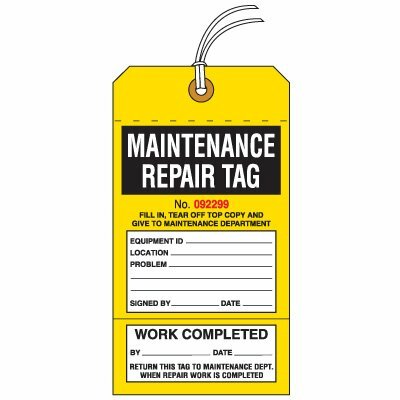 Select from a wide variety of Repairs Needed Tags at competitive prices. 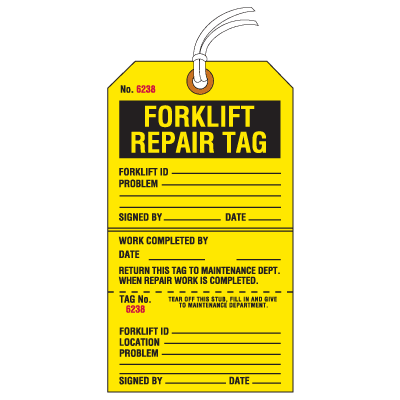 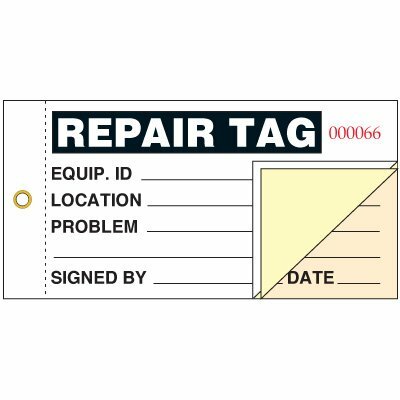 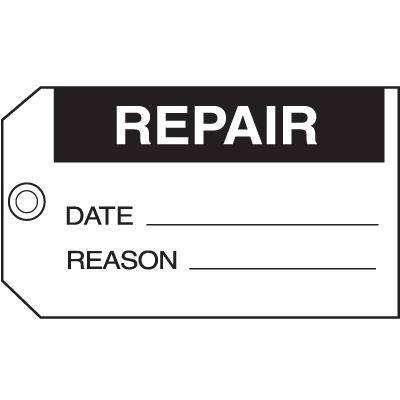 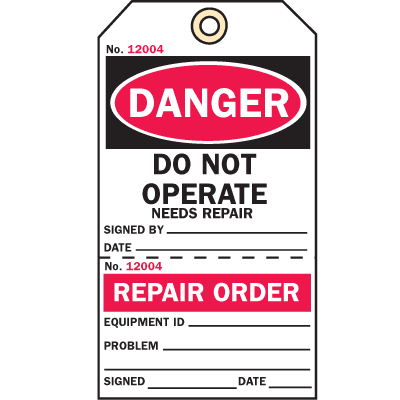 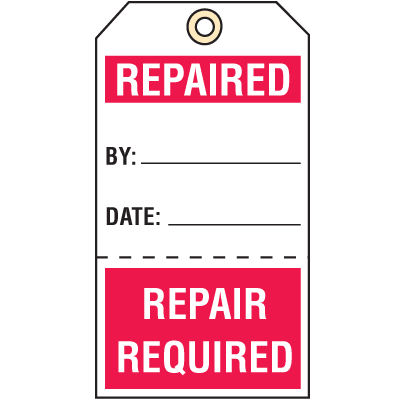 Plus most of our top-quality Repairs Needed Tags are in stock and ready to ship today. 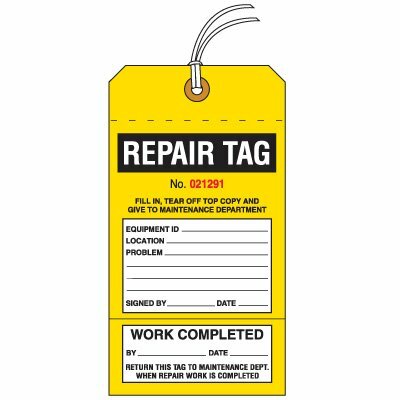 Unique quality control action tags identify the condition of items required for repair "before and after"
Bilingual repair production status tags inform workers a product is dysfunctional and must be fixed. 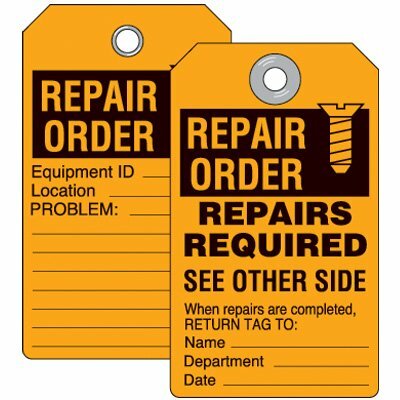 3-part repair status tags create multiple copies for distribution in one easy step.